Against all advice, I built this GaAsFET amplifier, and, after more than 8 years of faithfull service, it has never broken down. 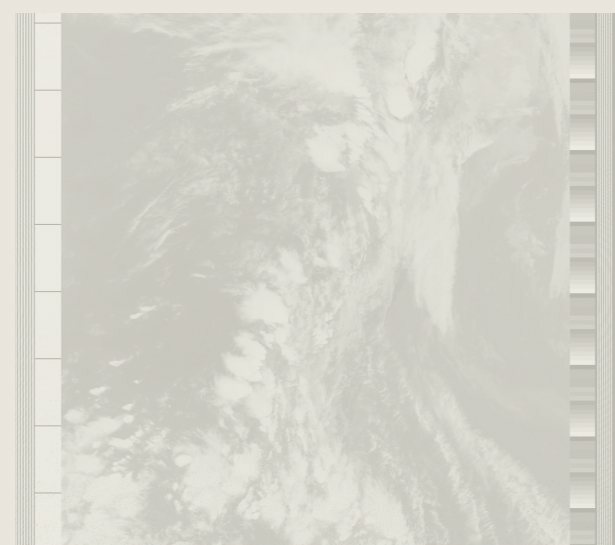 Many predicted that it would be too sensitive to static. The fact that it only has one coil, few stability problems, and of course excellent results, more than justify the little extra cost and care necessary to build it. 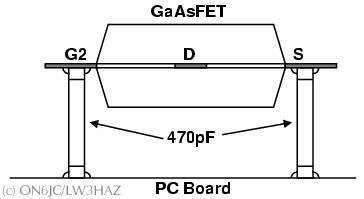 Mounting of the GaAsFET resting on (and soldered to) two surface mount capacitors. 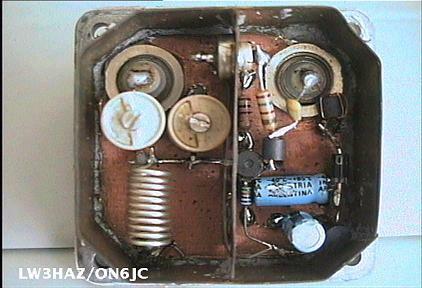 Power supply is brought in through the coax cable. 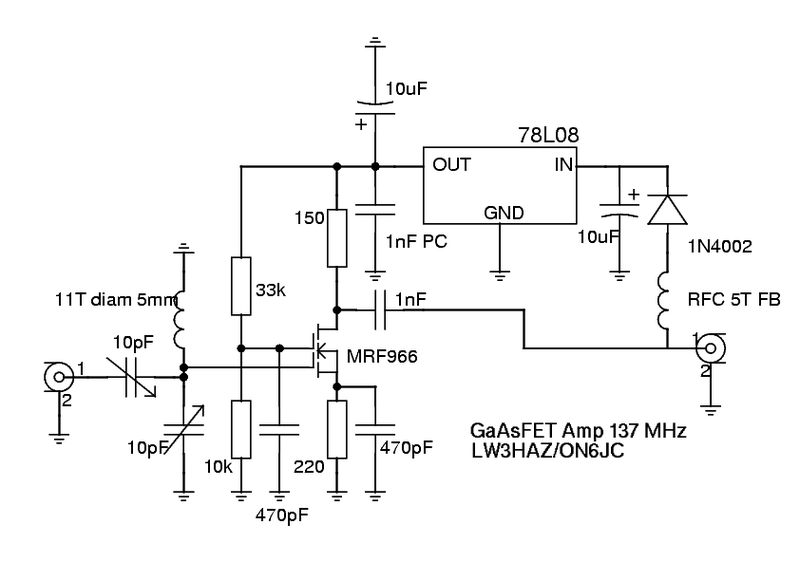 If you have 12 V available near the antenna it's possible to eliminate the coil and the diode, and connect directly to the regulator input. 11T diam 5mm Input coil. This is the single most important component of the entire circuit! If you can get silver plated wire, use it. Only as a last resort use tinned copper wire. 10 pF (trimmer) Both input variable capacitors should preferably be of the ceramic variety. Mica version will do, but in my experience have the tendency to corrode more easily. 470 pF I've used two 470 pF capacitors of the sourface mount variety. they are soldered vertically on the PC board, on both sides of the transistor, so that the transistor is supported by them. RFC 5T FB A homebrew choke, made by winding 5 turns on a ferrite bead. MRF 966 This transistor is very sensitive to static discharge! Best thing to do is finish the rest of the circuit first, preparing the correct separation between the 470 pF caps, the complete input and output circuit, so that in a single operation, the FET can be put into place. Soldering guns are particularly unsuited! Take the circuit in one hand, and the transistor in the other. Put it in place. Unplug the soldering iron, and quickly solder the four terminals. There's a page with a number of pictures which may help with the construction of the project.